Controversy still flares over the removal of a large granite sign from Nathan Bedford Forrest Park in Memphis. According to an article printed in the Memphis Flyer, George Little, CAO of Memphis city government, and right-hand man of Mayor A C. Wharton, claimed that there was no record of a sign being approved. He did so upon the urging of Shelby County commissioner Walter Bailey, who, along with his brother, D’Army, led the way “to eradicate all traces of the era in which whites dominated blacks, first by slavery and later by various forms of legal segregation.” Efforts to rename such landmarks as Confederate Park, Jefferson Davis Park, and Forrest Park almost succeeded, “purging these downtown public facilities of their connection to the lost cause of the Confederacy.” It was even discussed that the bodies of the great General Forrest and his wife would be exhumed and relocated. A resolution was passed in 2005, but efforts waned when the Sons of Confederate Veterans intervened, and succeeded to have Forrest Park added to the National Register of Historic Places in 2009. Then Parks Director Cindy Buchanan, who retired from her position last year, seems to have lost all recollection of the approval she granted to Sons of Confederate Veterans N.B. Forrest Camp 215. And Little claims that he was never notified, stating that, “We can’t just allow citizens to put their own signs and monuments up without some kind of official approval.” So when he had a crew available at Christmastime, he “just decided to go ahead and have the sign removed.” However, all investigation that the Flyer performed seemed to lead back to Little. And it’s no wonder. Mr. Little, I pose to you this question: why would you have something removed that you had a part of, yet claim to know nothing about, all the while knowing that it would offend large portions of the Memphis population? Here, here. So leave well enough alone, Mr. Little. Replace the marker. Your intentions are offensive, and your lack of knowledge about the Confederacy, and Nathan Bedford Forrest in particular, is atrocious. You won’t win this one. Hopefully, not ever. Because if you do, all history that is so special to this region will be lost. And what a tragedy that would be. 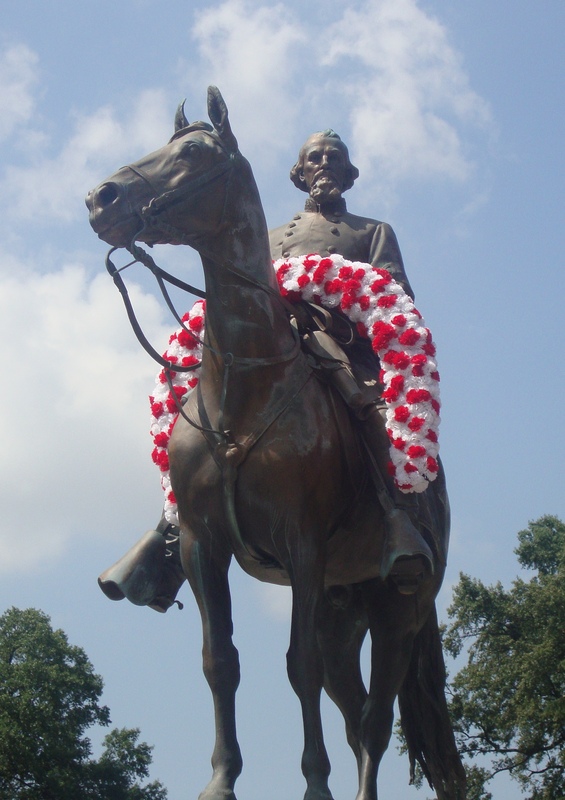 Thank you, thank you for the support of our SOUTHERN HISTORY. 66 YEARS TODAY! Long live the confederacy !! Tommy Ferguson. the City of Memphis started this campaign back in the 1980s ( or possibly earlier) . As I no longer have direct connections in Memphis , I was not aware of this until your blog. JDR, you strengthen the resolve of more people than you may realize. Please stay on this story .